Newly updated cards and a new look bring even more zip to the game kids, parents and teachers have been enjoying for more than 15 years - the classic game of people, places and things! Follow the clever clues just for kids, and have some fun. Winner of the National Parenting Publications Honor Award. 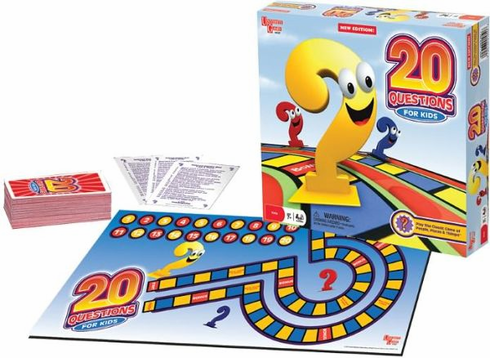 This product features a game board (2 to 10 players race around a question mark-shaped circuit) and 150 question cards (for 3,000 total clues). Each card has a person, place, thing, or year (either recent or otherwise noteworthy, like 1989 or 1776) with 20 clues about the subject.